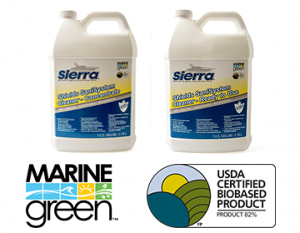 A safe biodegradable non-hazardous sanitation hose and holding tank cleaner. Engineered to remove uric scale and other contaminates that restrict sewage system operations and cause foul odors. The solution also cleans and degreases your system. It is safe for all sanitation systems and will not harm any style of Shields Sanitation hose. Shields Sanisystem cleaner comes in two styles. The ready to use version is ideal for smaller systems. 1 gallon will clean up to a 20 gallon tank. The concentrate version is ideal for larger job.